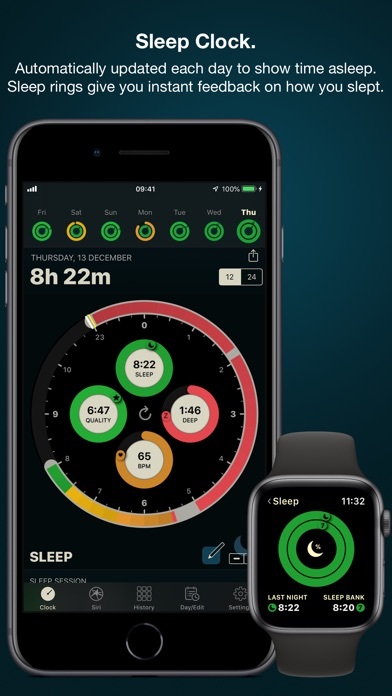 AutoSleep Tracker for Watch App Data & Review - Health & Fitness - Apps Rankings! 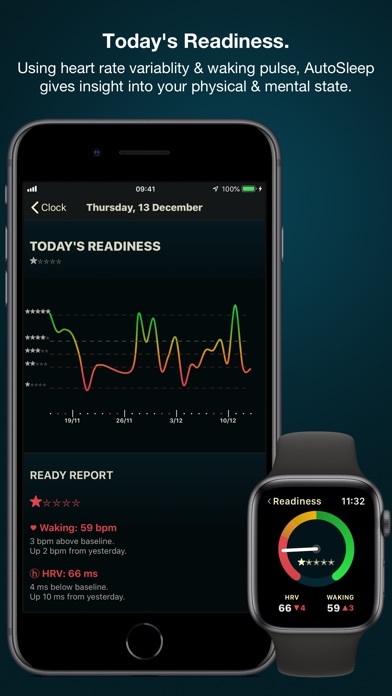 The applications AutoSleep Tracker for Watch was published in the category Health & Fitness on 2016-12-20 and was developed by Tantsissa. The file size is 24.25 MB. The current version is 6.1.0 and works well on 11.0 and high ios versions. 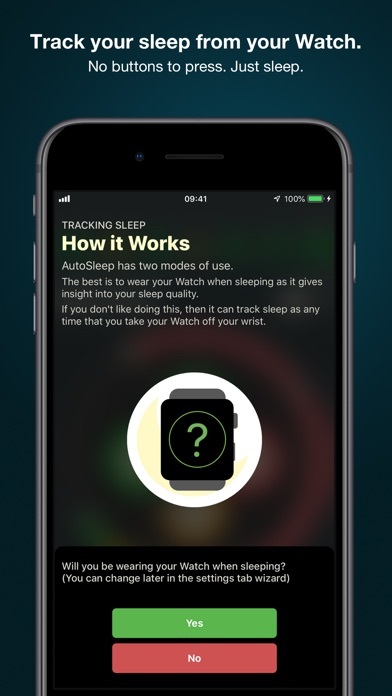 Do you like AutoSleep Tracker for Watch applications? Please share! I really like this app as it helps me oh attention to my sleep habits. I like the gamification that the phone/watch offers for all kinds of fitness activities. Adding this app with its interesting statistics gives me a lot of insight into my sleep and recovery that might - to a certain degree - be even more important. I never rate or review. This app is spectacular. I’ve been using for a week and absolutely love the feedback it gives me. Helps me understand my sleep patterns with tremendous amounts of data. 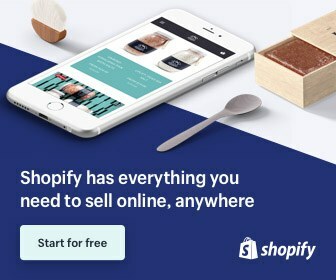 The thing that sold me on it was the comparison to the free app with no ads and no 3rd party data sharing. It’s clear this developer takes pride in his work. I also bought the heart rate app to pair with this one. Goes along nicely. Don’t second guess it, but this app. Very informative, great job. Keep up the good work. I had a Fitbit and almost replaced it even though I have an Apple Watch- just because of the sleep tracker. Then I found this app- it is outstanding! Love the comprehensive nature of the information- quality of sleep combined with length, heart rate with how deep my sleep has been- all tracked over time in multiple ways. If you love line graphs, bar charts, pie - this is great! And all with the intention of getting to better sleep outcomes and patterns. I really love it, and tell everyone about it! Accuracy doesn’t compare to FitBit. Been wearing both at night and it’s totally off. Oh well, I’ll just wait for Apple’s app. I’ve been focusing on sleep as part of my general health and tracking patterns corresponding to how I am dealing with a serious illness. 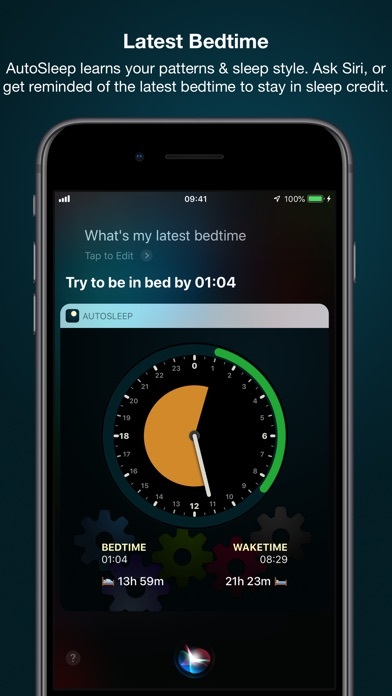 AutoSleep is truly fantastic — I can’t control everything about my sleep habits but it is much clearer how to manage bedtime and other factors. The interface is complex because it has so many features — but the support info is great so if you read up you’re all set! I love this app, everything works great and it’s helping me find my schedule so I wake up happy and alert. The only part I find funny is due to my slow heart beat when I wake up it doesn’t realize I’m awake and thinks I’m restless instead. My normal resting heart beat runs around 52 bpm. So even when I wake up it thinks I’m sleeping. I’ve used Fitbit for a few years and find AutoSleep tracks better and is more detailed. Good work! 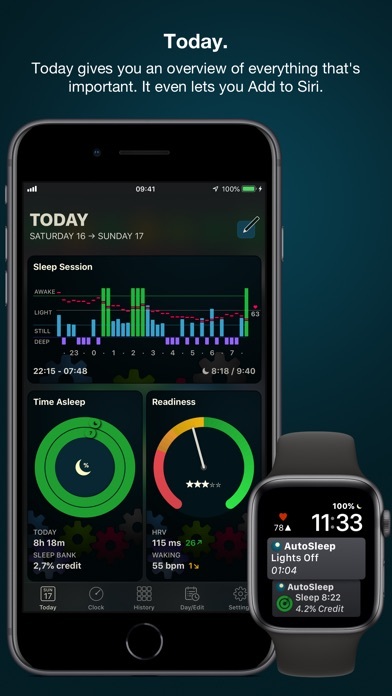 I was looking for a comprehensive sleep tracker after moving from a Fitbit to Apple Watch. Although I believe that the Fitbit is still the best for tracking sleep AutoSleep does a very good job of tracking and analyzing my sleep. 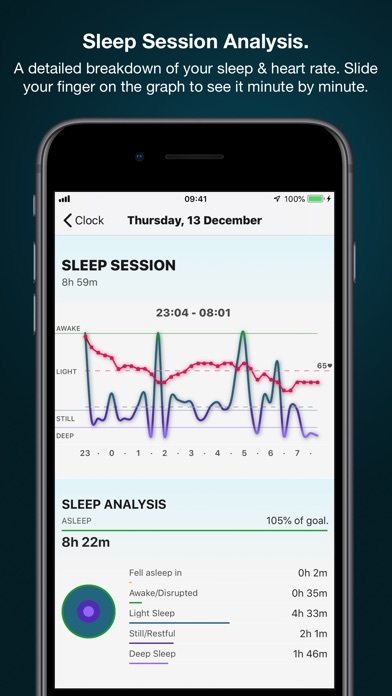 It’s a well designed App and quite accurate, I would love to see it get to the level that you see with the Fitbit sleep App. Fantastic comprehensive and easy to set up. I suffer from restless legs syndrome + my CPAP is currently on hold. I am also an ex shift worker by 30 years. The last 4 years has been a struggle to normalise my sleep hygiene. I am a natural night owl. I love my sleep in’s. This App has shown me how unhealthy my sleep habits have become. At 53 years of age habits are hard to change. To get a visual is the hardest reality things must change for my health to improve. I’m not a great sleeper but when this app tells me I’ve been awake for 2 hours and I know I haven’t been, it’s obviously not working properly. Disappointed with the accuracy - it doesn’t pick up any of my waking times. It means then the rest probably isn’t accurate either. What I love about this app is that I can learn a lot about my sleeping habits and my sleep in general. Compared to, let’s say, measuring your brainwaves with electrodes, monitoring sleep with a watch strapped to your arm is most likely much less accurate. But AutoSleep’s fine-tuning abilities that allow me to adjust its output based my own feelings about how I slept or how awake I feel in the morning make me think and feel that the app’s assessment seems quite accurate. 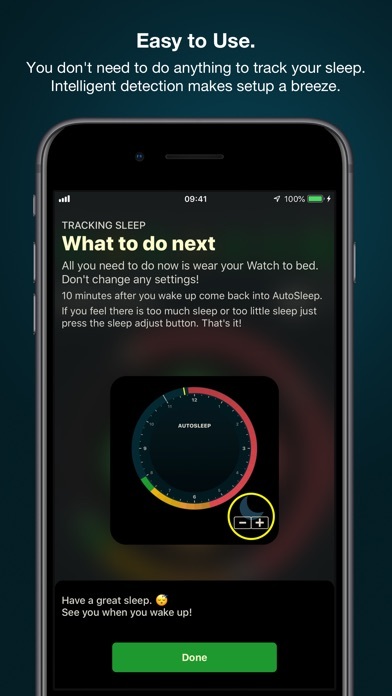 Another positive experience of using AutoSleep is how much work the developers seem to put into constantly improving the app - from reporting results to the user interface. Amazing, really. I can’t say that of any other app I own, and I’ve got quite a few 😉. I normally don’t write reviews but this one has deserve praise! Well done, guys!!! This is by far the best app I’ve ever spent money on. The insights are incredible and it’s explained in easy to understand terms. This is the only app I’ve ever left a review for, and one of the few I’ve ever been happy to pay for. Get this app. It will educate you on how to utilise your sleep to work towards a better you. The HMI of this app is just awfully unintuitive to use. For those that have not spent at least an hour going over the app’s functions and tweaking in detail, this app is pretty much useless in terms of getting meaningful and ACCURATE data out. 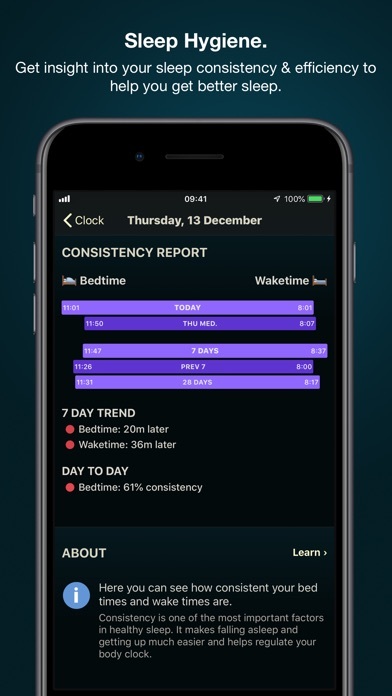 From the start (i.e first time you use the app), the supposed sleep detection is awfully inaccurate and without significant ongoing manual changes by user (i.e constantly going back into app to manually adjust your auto detected ‘sleep’ times), the data you get is grossly wrong. For example lying in bed with iPhone and watching TV is recorded as sleeping even if you’re getting up to go to bathroom, drinking water, raising your arm, sitting to lying or air out the blanket every 15 mins or so etc... Oh and I’m wearing Apple Watch with all detections enabled etc etc... For those that love to spend endless hours interacting with the app the sleep data (sensitivity accuracy) you get (provided you wear Apple Watch) should be reasonable enough to get meaningful data out after endless “manual readjustment” via the app’s horrible HMI... However don’t expect this app to be a download and use off the bat and ‘she’ll be right app.’ Summary: Terrible HMI/User interface (cluttered, over saturation of information etc.) & app is very very inaccurate when you don’t spend hours “calibrating” the sleep sensitivity! The app relies only on a time range you tell and the algorithm is wrong. It does not allow you to tell the app when you’re getting a nap. The feature lights off its once a day and then it get confused. Nice idea but too stubborn on an algorithm that it’s wrong and doesn’t want to listen to feedback. Like the company that made it itself. The first app that can tell me why I feel either brilliant or wrecked each day. It’s all there in the numbers! A great eye opener( excuse the pun)! Love this app, it does a great job motivating me to get more and more sleep. Watching the improvements and data changing is an eye opener. Worth every cent! 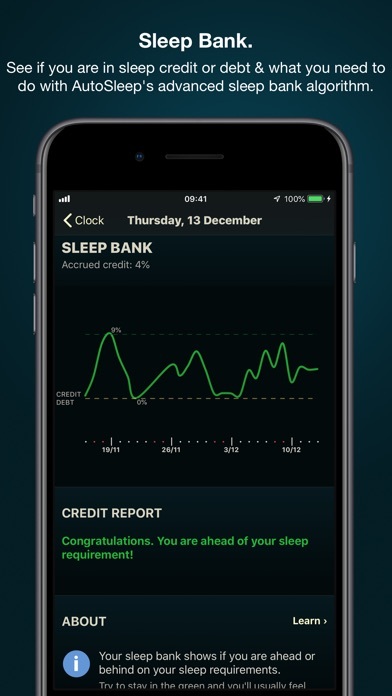 Gives you insight into how you really slept rather that thinking you slept!! Great sleep tracker. No nicknames are left. Best things about this app... - once it’s set up, it works away itself. - it’s very consistent. - it gives some useful info around past seven day averages, etc. 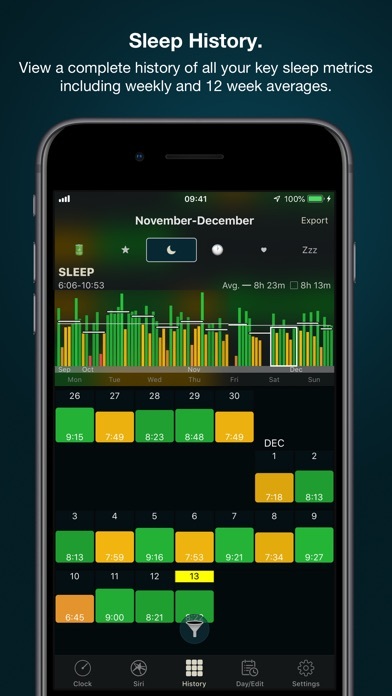 Many experts say that none of these sleep tracking apps can really track the stages of the sleep cycle, and that some of their metrics are meaningless (even if the colourful graphs look great). 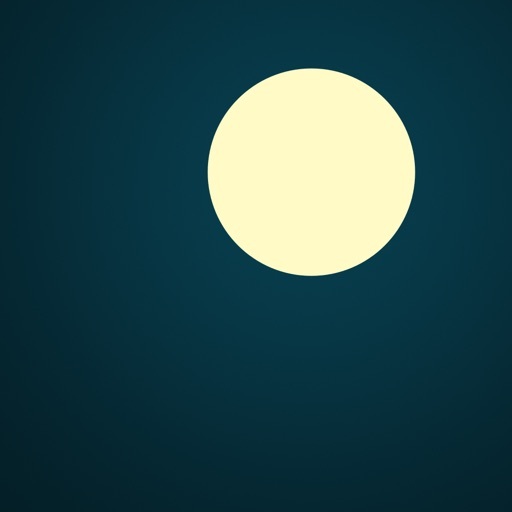 But as a general proxy of your sleep patterns this app is as good as I’ve seen. And it’s definitely made me more mindful to get enough sleep. Finally an app that tracks sleep perfectly and just starts on its own without having to remember to tap any button. Love this app and find it extremely useful. Just wear your watch to bed and the app does the rest. Ease of use is fantastic. You have to do so little to gain so much info - well worth installing, perfect for using with Apple Watch.